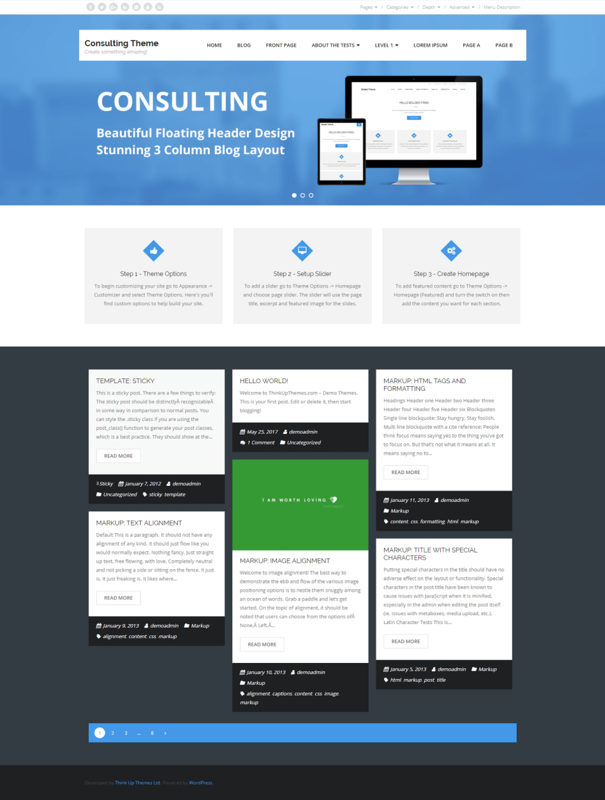 Consulting is a clean, modern, multipurpose free WordPress theme. Which allows you to create a business or blog website. 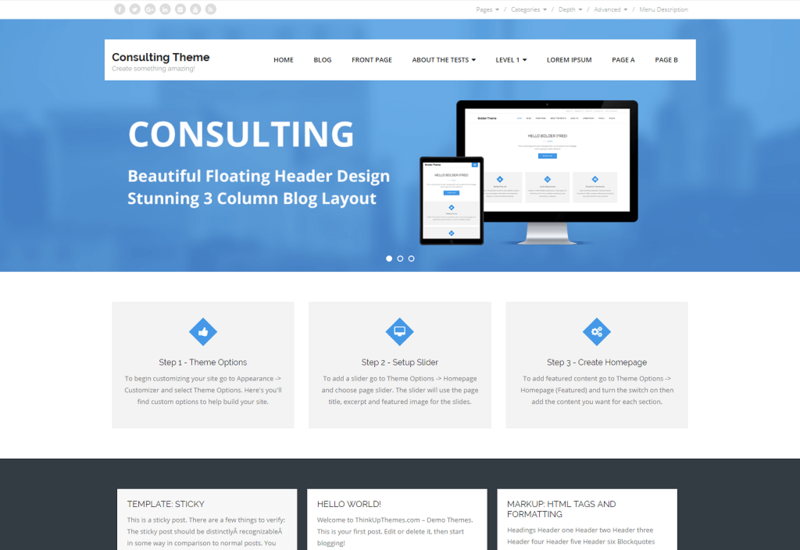 Consulting theme provides multiple features to its users like it has a responsive layout, HD retina ready and comes with a powerful theme options panel with can be used to make awesome changes without touching any code. Consulting also comes with a full width easy to use slider. Easily add a logo to your site and create a beautiful homepage using the built-in homepage layout. Consulting is also device friendly theme which looks amazing in all kind of devices.